Celtic Wolf Moon Vintage Celt - Exclusively available from Celtic Art Studio. 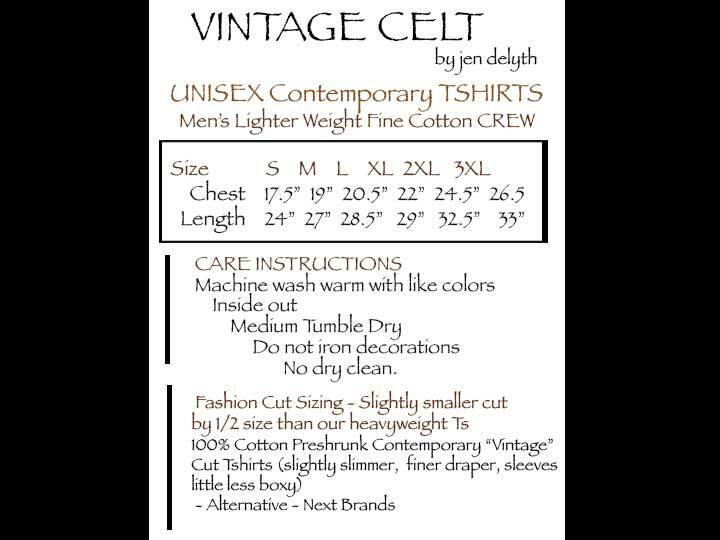 We're proud to present our new style Vintage Celt Tshirts by Jen Delyth. Hand Silk-screened, with soft hand print, on range of organic colors on quality contemporary fit finer pima cotton shirts, these new shirts have a beautiful soft feel. They are quality hand-silkscreened and carefully cured to insure intricate detail while remaining machine washable and dryable. Made in the USA..